Pontiac faithful have been getting short shrift in recent years. The General Motors division assigned the task of building and selling excitement hasn't been doing well in either regard. The Firebird is history. An Australian import wears the emperor's clothes but hasn't earned the crown. A four-door sedan carries the badge once proudly worn by a NASCAR winner. Cheer up, people, your wait is over. 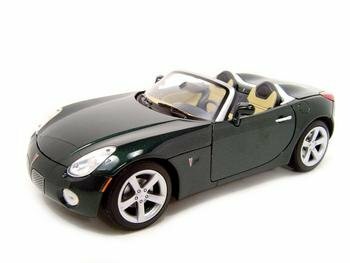 The long-awaited, 2006 Pontiac Solstice is here at last. It's a great-looking, two-door, two-seater, drop-top sports car for less than 20 big ones. Okay, that's the base price, and there will be few if any base models at a dealer anytime soon, but even adding all the available options boosts the price only to about $25,000. Initially, the Solstice sticks to the basics of a two-seat roadster. It comes with a five-speed manual and a 177-horsepower four-cylinder engine. There's no electronic stability program, antilock brakes cost extra, and occupant safety features are the bare minimum. But for many drivers, basic delivers. We found the Solstice fun, easy to drive, and a hands-down head-turner. And it's built right here in the U.S.A. Initially, just one model is available. 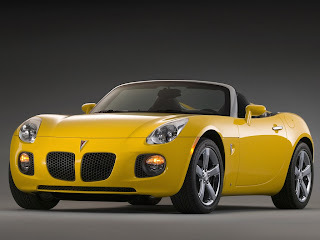 The Pontiac Solstice ($19,420) is powered by a 2.4-liter, 177-horsepower four-cylinder engine. For now, the only transmission available is a five-speed manual; buyers willing to wait until early 2006 will have the option of a five-speed automatic. The base Solstice is just that, with hand-cranked windows, manually adjusted outside mirrors and finger-powered door locks. The urethane-clad steering wheel has a tilt adjustment. The six-speaker stereo receives AM and FM and plays a single CD. The shift knob wears leather, but seats and door panels are covered in cloth. The back window is defogger-fitted glass. Instead of a multitude of models, Pontiac offers a plethora of individual options and option packages, inviting buyers to outfit a Solstice to their individual whims. The Convenience Package comprises cruise control, an information center, fog lamps and steering wheel-mounted controls for the cruise and information center functions ($465). Next up is a Power Package for windows, door locks and outside mirrors that also has a keyless remote fob and body-color paint for the mirrors ($625). Last, in the form of groupings, is the Premium Package, which covers the steering wheel, seats and door panels in one of two shades of leather ($590); this package, however, is conditioned on also buying the Convenience Package. Options include air conditioning ($960); a string of stereo upgrades adding, first, an MP3 capability ($195), then an MP3 capability plus six-disc, in-dash CD changer ($495), then a seven-speaker-with-subwoofer Monsoon system ($395) that's not available with the base stereo, and finally an XM Satellite Radio system with a three-month trial subscription ($325), which requires the Monsoon system; polished aluminum 18-inch wheels ($495); chrome 18-inch wheels ($695); limited-slip rear differential ($195); floor mats ($60); and a smoker package with lighter and ash tray ($40). OnStar is slated to make the option list before the close of 2005, a five-speed automatic transmission in the spring of 2006. Dual-stage front airbags are standard. Optional antilock brakes (ABS) come with dynamic rear proportioning, which electronically balances force front and rear to maximize braking while avoiding rear wheel lockup ($400), similar to electronic brake-force distribution or EBD. 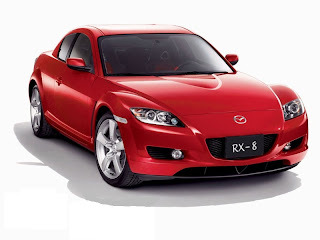 The ingenious Mazda RX-8 is a true four-seat sports car, and its small but powerful rotary engine makes this possible. The RX-8 drives like a sports car, with perfect 50-50 weight distribution for balanced handling and a high-revving engine. It reminds us of the brilliant third-generation RX-7, but it's $13,000 cheaper, and its muscular styling has a zoom-zoom edge. Yet the RX-8 is surprisingly practical. It's perfectly capable of taking the kids to soccer practice, with ample passenger room for four full-size adults. There's enough room for a weekend's worth of luggage or two full-size golf bags, and the small rear doors and relatively spacious trunk make trips to the home improvement center possible. Granted, it's not as roomy as a sedan, but it can move people and stuff when needed. The RX-8 was launched as an all-new model for 2004. While the manual transmission model carries over with few changes, but the automatic is far more compelling for 2006 than last year's model. The 2006 RX-8 offers a new six-speed automatic in place of last year's four-speed. What's more, the automatic model gets a significant boost in horsepower. The six-speed automatic comes with steering-wheel mounted paddle controls for semi-manual shifting. This brings the automatic closer in character to the manual version, making it much more appealing to those who don't always want to do the shifting themselves. Still, the manual and automatic are two different cars due to the specific tuning of the high-revving rotary engine as paired to each transmission. The six-speed manual benefits from 238 horsepower at 8500 rpm and 159 pound-feet of torque at 5500 rpm, while the automatic produces 212 horsepower at 7200 rpm and 164 pound-feet at 5000 rpm. The automatic comes packaged with smaller wheels and brakes and a softer suspension. The bottom line is that the manual is for driving enthusiasts willing to sacrifice some comfort and convenience for performance. The automatic is for drivers more interested in the looks and feel of a sports car than in ultimate performance, drivers who have to contend with stop-and-go commuting. The 2006 Mazda RX-8 comes in two variants: the MT ($26,435) with a six-speed manual transmission and the AT ($26,435) with the new six-speed automatic. Optional packages: The Sport Package (MT: $1,300, AT: $2,000) includes xenon headlights, fog lamps, DSC w/Traction Control (AT models add a limited slip differential and the same wheels and brakes found on all MT models). The Touring Package (MT: $2,975, AT: $3,775) adds Bose audio and an auto day/night mirror w/Homelink to the Sport Package equipment. Grand Touring (MT: $4,510, AT: $5,210) includes all that plus leather trimmed upholstery, faux leather door trim, six-way power driver's seat, heated seats, lumbar support, a moonroof, and heated mirrors. The Shinka Special Edition Package (MT: $6,165, AT: $6,685) adds urethane-injected suspension cross members, bright-finish alloy wheels, leather/faux-suede upholstery, an in-dash six-disc CD changer, Sirius Satellite Radio equipment and a one-year subscription. Additional options include a six-disc CD changer ($500), pearl white paint ($200), a DVD-based navigation system ($2,000) and an appearance package consisting of front air dam, a rear spoiler and side and rear aero flares ($1,100). Safety features that come standard include frontal and side-impact airbags (for torso protection) for the front passengers, and curtain airbags (for head protection) front and rear. The Mazda 3 is sporty, roomy and fun. It's available as a neatly styled four-door sedan or as a more adventurous looking five-door hatchback. The sedan has a sweet, rounded shape and smooth, cohesive design. The five-door looks more aggressive, but a lot of utility with its hatchback design and folding rear seats. Quick, nimble handling makes the Mazda 3 (or Mazda3 as the company renders it) fun to drive on twisty country roads. The free-revving 2.3-liter engine delivers spirited performance. The five-speed manual transmission shifts beautifully, and there's an interesting automatic available with a manual-shift feature. The four-door sedan is available with a choice of 2.0-liter or 2.3-liter four-cylinder engine. The five-door hatchback comes only with the 2.3-liter engine. The Mazda3i four-door sedan comes with the 2.0-liter engine ($13,680). Standard equipment includes AM/FM/CD, tilt and telescope steering wheel with audio controls, 15-inch steel wheels, halogen headlights, a stainless steel exhaust system, wind-up windows and manual door locks. A five-speed manual gearbox is standard, an automatic transmission ($900) is optional. Air conditioning is optional ($850). Also optional: power windows, mirrors and door locks, cruise control, remote entry, an upgraded driver's seat, upgraded audio with six speakers, and 16-inch alloy wheels, available as a package ($1,400). Two-stage frontal airbags are standard. We strongly recommend the safety package ($800), which includes side-impact airbags for the front seats, side air curtains for head protection for front and rear-seat passengers, and anti-lock brakes (ABS) with electronic brake-force distribution (EBD). That would make a well-equipped (and commonly equipped) Mazda3i more like $17,275 (with the $545 destination charge), or $18,175 with the automatic. 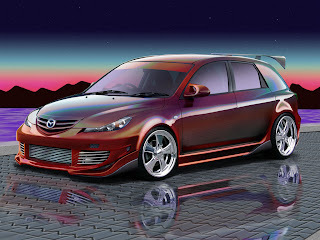 The Mazda3s is more powerful and better equipped. Available in the four-door ($16,615) and five-door ($17,105) styles, the 3s comes standard with all the power conveniences plus air conditioning, cruise control, an upgraded stereo and foglights. The five-door hatchback gets sporty 205/50 all-season radials on 17-inch steel wheels. Options for the 3s include the automatic transmission ($900), the safety package with side-impact airbags, curtain airbags, ABS and EBD ($800); leather upholstery ($590); xenon high-intensity discharge headlights with a tire-pressure monitoring system ($700); and a navigation system ($1,750). A Sport Package ($490) combining 17-inch wheels with sill extensions is available for the 3s sedan. A package combining a moonroof with a six-disc CD changer ($890) is available on all Mazda3 models. Sirius Satellite Radio ($399) can be dealer-installed in any Mazda3, though there's also a labor charge. The Mazda3i is available at no charge as a Partial Zero Emissions Vehicle (PZEV) that trades four horsepower (down to 144 horsepower) for significant reductions in emissions. Mazda calls the Mazda5 a "multi-activity vehicle infused with sports car inspiration" that "efficiently transports people and equipment like a large SUV." We'll leave alone the question of whether the words "efficiently" and "large SUV" belong in the same sentence. It is a fact, however, that buyers who are attracted to the passenger and/or cargo capacity of an SUV may be put off by SUV bulk and SUV fuel consumption. A minivan does the same job more efficiently, but seems to carry a certain social stigma. Station wagons used to do the job, but have now all but disappeared. The skyscraper principle applies equally to motor vehicles. Start with a small-sedan chassis for handling, ride comfort, and fuel efficiency. Build the body tall to pack more people and things inside the same footprint. Then give it a clunky-funky look that says "SUV," or at least "SUV crossover," more than "minivan." 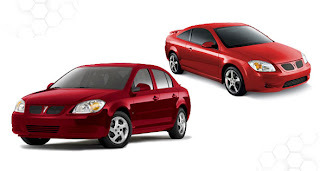 Acura RSX is a sport coupe for drivers who want performance and sophistication. That sophistication extends from the well-appointed cockpit to the superb driving dynamics. Honda's powerful twin-cam engines, well-tuned sports suspensions, and four-wheel disc brakes make the RSX an exciting ride. Supportive, contoured seats, excellent visibility, and all the conveniences make it a comfortable ride. RSX is also practical, with a useable back seat and expandable cargo space accessible through its rear hatch. With its powerful, high-revving engine, Type-S is a terrific car for the single, upwardly mobile driving enthusiast. The standard RSX is appointed well, but may be a bit firm for buyers who suffer a grinding daily commute. RSX is unchanged for 2003, but a new performance kit is available for the Type-S.
RSX breaks from Acura's CL, TL, RL nomenclature. The X in RSX means this is one of Acura's specialty models, like the NSX and the new TSX. RSX is only available as a two-door coupe. Though called a coupe, it is a hatchback in practical use. Two engines are available. The base RSX ($19,975) is powered by a 2.0-liter four-cylinder engine rated at 160 horsepower. It comes with a five-speed manual transmission, or optional five-speed automatic with SportShift ($20,875). Cloth is standard. Perforated leather upholstery ($1075) is optional. RSX Type-S ($23,270) gets a 200-horsepower version of the same 2.0-liter inline-4. Type-S comes exclusively with a six-speed close-ratio manual gearbox. Leather is standard. Also standard is a Bose AM/FM/cassette/six-disc in-dash CD changer with seven speakers, including a big woofer. Otherwise, there aren't any options. So you only need to make two major choices: whether you want cloth or leather, and if you want leather, whether you want the more powerful engine and related sports equipment. There's no need for options because the base RSX models come standard with all of the convenience features of the more powerful Type-S: automatic climate control, cruise control, power windows and locks, power moonroof, antilock brakes, and 16-inch alloy wheels. RSX also comes standard with a premium six-speaker AM/FM/CD stereo. Acura is offering a performance package for RSX Type-S, which is installed at dealerships ($4,800 plus installation). The package includes high-performance, track-tuned shocks and springs, slotted brake rotors and performance brake pads, lightweight 17x7.5-inch alloy wheels, high-performance tires (225/45VR17), a factory rear wing, underbody spoiler kit, and special interior trim. This is the first time Acura has offered a comprehensive high-performance kit to be installed by dealers and covered under a factory warranty. Acura felt it should have a car to compete with the BMW 3 Series and Audi A4, so it came up with the TSX, an intriguing car that does much with little. It starts with a European Honda Accord, slightly smaller than ours, including the 2.4-liter four-cylinder engine, and adds impeccable execution all the way to your driveway. That execution is what the TSX pits against the benchmark BMW 325. Honda's 200-horsepower engine boasts a broad torque curve that responds immediately to the drive-by-wire throttle and quick work with its sweet gearbox. The suspension dances to the tune of a European sports sedan. The brakes scrub off triple-digit speeds without drama and the pedals are set up well for effortless heel-and-toe braking and downshifting. For an enthusiast, the 2004 Acura TSX eliminates the lust for European-market cars. The lineup for the Honda TSX couldn't be simpler. There is a choice of a six-speed manual gearbox or a five-speed automatic with Sequential Sport Shift, for $26,490. The only option is a $2000 navigation system, in which Acura takes pride: it's intuitive, thorough and fairly easy to operate. 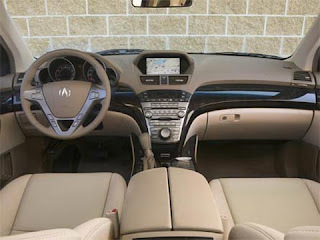 Notable standard equipment includes a 200-horsepower version of the 2.4-liter double-overhead-cam iVTEC engine, Vehicle Stability Assist (VSA) with traction control, 17-inch alloy wheels with V-rated performance tires, perforated leather seating, side curtain airbags, moonroof, HID headlights, and 360-watt Acura premium audio system with six-disc CD changer and eight speakers. The Kia Rondo is an all-new vehicle. Kia calls it a five-door crossover utility vehicle. The Rondo is capable of carrying seven adults. Yet it's small, just 179 inches long. That's 2.5 inches shorter than the six-passenger Mazda5. Sure, the Toyota RAV4 can seat seven, but it costs $3,000 more and offers less legroom in the third row. The Rondo gives you the size of the RAV4 at the price of the smaller Toyota Matrix; and we're not big fans of the aging Matrix. 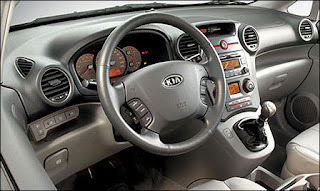 We found the ride, handling and brakes of the Kia Rondo excellent. It's a good vehicle for long trips and zooming around town. The seats, cloth or leather, are comfortable. The driver sits relatively high and the Rondo feels like neither a car nor a sport utility, which is what a crossover is about. Besides people, it can haul lots of stuff; just flip down the back two rows of seats. A new 2.4-liter four-cylinder engine comes standard, and it's strong. It comes with a four-speed automatic transmission with a manual mode and gets an EPA-estimated 21/29 City/Highway miles per gallon. A smooth 2.7-liter V6 with a five-speed automatic is optional. It's rated 20/27 mpg, delivers more thrust more smoothly and adds just $1,000 to the retail price, making it a bargain. Kia is the best imitator in the business. Kia designers and engineers look closely at other vehicles, and produce a virtual composite of the best ideas. But there's no lack of originality here, because the Rondo is unique. It's the only game in town for seven-passenger transportation in a small, safe, low-cost, high-mileage package. Kia's marketing motto is "the power to surprise," and the Korean carmaker has done so again, with the Rondo. 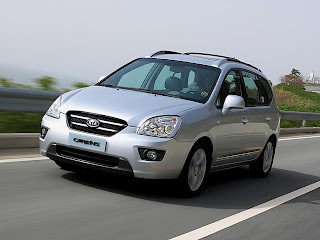 The 2007 Kia Rondo comes in LX and EX models with a choice of four-cylinder and V6 engines. The Rondo LX ($17,895) comes with air conditioning, remote keyless entry, cruise control, alloy wheels, a 60/40 fold-flat rear seat, and power windows, locks and mirrors. Also available, at least on paper, is a stripper model called the LX 93202 ($16,395) that comes without air conditioning, remote entry and cruise control. The Rondo EX ($19,195) adds a higher-grade cloth interior with leather trim, 17-inch alloy wheels, chrome grille, door handles and molding, foglamps, heated mirrors, windshield de-icer, leather-wrapped steering wheel and shift knob, lights for the vanity mirrors, and a CD/MP3 six-speaker sound system. Optional is a package with a 10-speaker Infinity sound system and a sunroof ($1200). The 2.4-liter inline four-cylinder that comes standard makes 162 horsepower and is paired with a four-speed automatic transmission with a manual mode called Sportmatic. The optional 2.7-liter dohc V6 produces 182-horsepower and comes with a five-speed Sportmatic. The LX V6 ($18,895) and EX V6 ($20,195) are EPA-rated 20/27 mpg City/Highway, compared to 21/29 mpg with the four-cylinder, making the V6 a good value. Safety equipment on every Rondo includes front airbags, side airbags in front, full-length airbag curtains, anti-lock disc brakes, electronic stability control, and a tire pressure monitor. Options include the third-row seat ($500); leather interior with heated front seats for the EX ($1000); and a body kit ($995) consisting of a front spoiler, rear valance, side sill skirts, wheel arch moldings and a rear lower spoiler. Roof rails come standard, but the crossbars to make them functional are optional ($200). A cargo cover is available as a dealer accessory. The Fleetwood product line has tremendous value. Its design and construction are the industry's best as far as we're concerned. 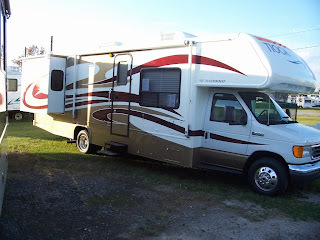 When we bought our 27 foot long class C motorhome, we were expecting our first child. A floor plan with twin beds in the back seemed the best choice since we rationalized, "someday perhaps we'll have another child or maybe our son or daughter will want to bring a friend camping." Two months later we learned that our child had a sibling already. The twin bed floor plan was a perfect choice! Sleeping accommodations vary with floor plans but we can put up a total of 7 people with little discomfort. Normally my wife and I sleep in the cabover bed and the children in the back. We debated the merits of the queen bed in the back and decided that if children need to be put down earlier than the adults, a separate room with a door is much more desirable than having to move them from the back to the front when the adults wish to call it a day. Look carefully at the galley arrangement when shopping. Some are straight along a wall and others have an L shaped layout. The slide-out models give tremendous galley space and allow others to pass by someone preparing food with no interference at all. You should also pay attention to the differences in the coach entrance door location. Some have access in the middle, front or rear of the unit. Each has its advantages and disadvantages. We prefer to minimize disturbing sleeping children if people need to enter or exit. 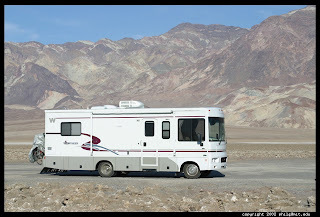 With regard to the power-plant, several people in our family have owned Ford chassis class C motor homes and had little or no trouble with them. Based on the experiences of friends that have owned models with GM chassis, we'll continue to choose Fords in the future. If you are buying anything but a rig under 25 feet long, order the model with the biggest engine available, you'll never regret it. Given the amenities that one takes along with a motor home when you drive down the road, we use ours for day-trips as much as camping. Whether it's a trip with the gang to see a concert out of town, or just a bunch of friends going out to dinner, the bathroom, refrigerator, AC, and spacious seating make for an ideal trip! My wife has loved piling a bunch of friends in for a day of outlet malling. They can set out early in the morning, not stop for rest-area pit stops, convene mid-day for lunch in the MH, and stop for dinner at night on the way home. They have plenty of storage space for their plunder and can even lay down and rest their tired legs if they so choose. It's definitely not cheaper than staying in hotels and motels, but we're never at a loss for accommodations. We can spend the night in a truck-stop (and have slept next to a load of hogs once!) or a Wal-Mart parking lot if we want to be really classy. Sometimes we even check into a campground! With the on-board generator, we can make our home along a stream in the wilderness and still have the use of a microwave oven! Tioga motorhomes and our dealer have been extremely good to us. We have become loyal fans of both. We love to shop for new ones in the campgrounds and RV shows each year, but can't bear the thought of giving up our jewel. If you have half the fun that we do with ours, you'll never go back to another way to travel! When the original Honda CR-V debuted in the late '90s, its mission was simple: to offer a distinct alternative to more mainstream mid- and full-size large SUVs. With its car-based design, four-cylinder engine and sedan-like ride and handling, the CR-V was an instant hit. Priced competitively and offering plenty of passenger room and cargo capacity for most people's needs, the Honda CR-V enjoyed incredibly strong sales numbers and much loyalty from consumers. Today, the compact- or small-SUV segment has grown to include more than a dozen different models, with varying philosophies of what constitutes the perfect blend of size, power and capability. While some compacts offer larger V6 engines and others can deliver true off-road capability, the current Honda CR-V remains focused on its carlike aspirations. True enough, it is one of the best choices available in the all-important areas of on-road drivability and practicality. Because of the variations available, choosing the best compact SUV is largely a matter of personal taste and lifestyle. For urban and suburban dwellers looking for a more versatile alternative to a small car -- with decent mileage, great reliability and perhaps some all-weather capability thrown in to seal the deal -- we think the five-passenger, four-door Honda CR-V is a fine choice. The Honda CR-V was redesigned for the 2007 model year. 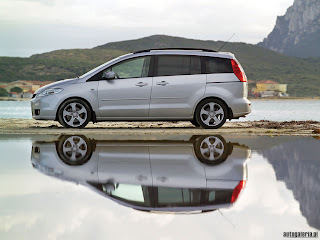 The vehicle improves upon its roots with a body that's slightly wider and shorter. Suspension changes have improved agility, and a new top-hinged rear hatch improves ease of loading cargo. Easier access is also had through wider-opening rear side doors. Inside, you'll find higher-quality materials, an auxiliary input jack for bring-along entertainment and a handy foldable rear cargo shelf for easy two-tier loading. Buyers can choose from three trim levels – the LX, EX and EX-L, a new leather-trimmed full-lux model with available navigation system. The LX gets you the basics like powered accessories, air-conditioning and a CD player. The high-volume EX model adds niceties like keyless entry, alloy wheels, an upgraded stereo, moonroof and privacy glass. For those who want it all on the uplevel EX-L, the available nav system also includes a rearview camera, satellite radio and a subwoofer. The previous model's 2.4-liter inline four-cylinder engine returns, but now with a slightly higher compression ratio, higher-flow intake/exhaust and revised variable valve timing that make it good for 10 extra horsepower and a slight bump in torque. A five-speed automatic is the sole transmission now, but the gearing's been massaged with a shorter 1st gear and final-drive ratio for improved response. On all models, buyers can opt for front-wheel drive or on-demand Real Time four-wheel drive to maximize all-weather traction. Our editors found the 4WD CR-V's acceleration adequate and pleasant around town, but merging and passing maneuvers can strain its torque reserves -- especially when compared to its V6-equipped competition. However, as long as your beaten path doesn't include many stoplight drag races or overly heavy loads, we think the Honda CR-V may possess all the room, refinement and performance you will ever need. Because it's a perennial top-seller, used-CR-V shoppers should find plenty of vehicles to look at. Redesigned for 2002, the second-generation CR-V boasted a number of improvements including more power, more interior room and improved passenger protection. Mostly detail changes saw the CR-V through the next few years, meaning earlier models can provide especially good value. Of the 2006 model, our editors said, "Around-town driving reveals a softly tuned setup that favors comfort over performance and is just about ideal for commuters. Four-wheel-drive CR-Vs are perfect for negotiating wet or snowy road conditions. However, when taken on terrain more rugged than a gravel road, the Honda CR-V quickly gets wobbly in the knees. Though it has more ground clearance than the Honda Element, this isn't the mini SUV to get if you regularly venture into the wilderness." The original first-generation Honda CR-V compact SUV hit the streets a decade ago। It was priced competitively and offered more passenger room and cargo capacity than its peers. A manual transmission was added in 1998, and a 20-hp boost the following year gave it a new output of 146 hp. In 2000, a leather-trimmed SE (Special Edition) model was added to lead the model lineup. While my mini motorhome home is slightly older than this category, there is not a category in which to place this review at the present time, when such category is added I will move this review. This review is on a 1978 Dodge Minnie Winnie, since so many of these are still on the road, I felt it was important to do a review on my home away from home. I come from a family of campers, my first camping experience when I was just a child was in a rented pop-up tent trailer. Since then my parents have gone onto truck campers, mini motor homes, travel trailers and their latest camper is a 1999 Sunline, 27 1/2 feet in length complete with tiny bathtub and microwave. Okay, so my family was not known to rough it! We were fortunate enough last year to basically have our 1978 Minnie Winnie given to us, for my father-in-law installing a starter on a customer's tractor. A Minnie Winnie is made by Winnebago, a motor home company that has been in business since 1958, located in Forest City, Iowa. The definition of a mini motorhome is unit built on an automotive manufactured chassis with an attached van cab section. In our case the attached van cab is a Dodge. Our Minnie Winnie is 24 feet long and is powered by a 360 Dodge engine, with a three speed automatic transmission. Many of these older models are still on the road considering they are only used several months out of the year, in fact ours only has about 70,000 miles on it. Which since it is 22 years old that isn't very many. Also the previous owners of our mini motorhome were an older couple that took excellent care of it. Although according to some records that we found in the camper after we received it, they had taken it from coast to coast one winter several years ago. Let me take you on a tour (although please remember, it is from the late 70's when orange and brown were the popular colors). The "man" door is at the back of the motorhome, with regular van entrance doors in the front. Please watch your step since there is a step up into the camper part. To your left is a long narrow closet with drawers underneath (one thing I will say, this thing has a ton of storage places). To your right is another closet, and under that closet is the furnace. Take several steps ahead and to your left is now the couch with a large storage drawer underneath. This couch also slides out into a bed which will comfortably sleep two adults. There is a large window above this couch, which is technically your rear window. Above the window are three cupboards. Slightly to your right and forward is my kitchen. Complete with double sink, four burner propane stove with an oven. Again much storage above and below, and a large sliding window complete with screens directly above the sink. There is also a small pop-up extra counter, since the counter space is somewhat limited. The hot water tank is contained below the sink but cannot be reached from inside the camper. The water pump is also located under the sink, the pump is only needed if you are using water from your water storage tank, and is turned on by a switch on the wall. A few more steps forward and you have reached my dining room table to your right and the fridge to your left. I was actually rather surprised at the size of my refrigerator. While we do generally take a cooler full of ice and various drinks, so to save space for food. It is about 3 feet long and 1 1/2 feet wide, and includes a small freezer, big enough for several ice cube trays. There are shelves inside the refrigerator as well as storage in the door. This will either run off of gas or electric, while many people do not run their refrigerator while traveling, we have done so many times and had no problem with the pilot blowing out. Although one word of caution, Do not leave your refrigerator running while you are filling up with gas, the pilot light could cause an explosion. Directly under the fridge are two storage drawers and a pull out cutting board. Under the storage unit here is my water storage tank, this is very easy to get at by popping off the front panel enabling you to check your water storage level, in case you are somewhere with no hookups. The dinette consists of two benches and a fold down table, enabling this to be turned into another bed. While this is comfortable, it is a little short. There is also storage under both of the benches, and there are seat belts built in here for your extra passengers. It is rather tight to get a carseat into this space, but my daughter's booster seat fit in the space just fine. Above the dinette, are three more storage compartments, and another double sliding window with screens. Next to the refrigerator is my bathroom. While really tiny, it does serve all purposes intended. Complete with sink, medicine cabinet and toilet, the whole room is waterproof since the shower is included in the room also. The shower head is removable so it is very easy to shower in this tiny space. There is a vent in the ceiling in the bathroom with a built in fan, to expel steam from the shower or other "scents" you would prefer not to enter the living compartment. Forward is the van compartment and with a bunk above. Again able to sleep two adults comfortably. There are two small siding windows on either side, with screens, plus the large window across the front. All the windows in my motorhome have very attractive pull down shades for privacy. In the van compartment is of course the drivers seat and passenger seat. Behind the driver seat is a set of switches enabling you to charge your extra batteries while going down the road. Since some campgrounds don't have hookups you need to make sure your batteries are fully charged if you are planning on running any lights in the motorhome. 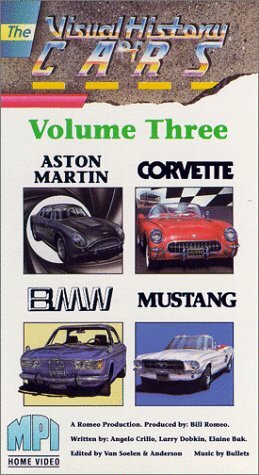 Oh, I also have an eight track tape player, too bad I did away with those years ago. Some basics about my motorhome. All hookups are on the drivers side, including water, electric and sewer. There is also a spot here to light your hot water tank. We were also very fortunate to have papers of type-written instructions on lighting the hot water tank and furnace. There are gauges inside to check the levels of both holding tanks, gray water (sinks) and sewer (toilet). Be sure to pay close attention to these gauges if you are not hooked up to a sewer line. This will back up into the bathroom, I speak from experience. There are two compartments that can be reached from the outside of the motorhome for storage of hoses, extension cords, jacks and other various things that will be needed to set up. The rear bumper is hollow for storage of sewer hose. The spare tire is attached to the rear bumper also, and although we haven't had it off yet we do make sure that is full of air. There is also a large fold out awning attached to the passengers side of the motorhome. The plug ins are numerous, including one on the outside passengers side. There are a multitude of lights, both for electric hookup and battery. The interior battery compartment is also on the passenger side, as well as the propane tank. The interior batteries are stored in a pullout tray for easy access, enabling you to hook up to a battery charger easily. All in all, even though my motorhome is almost a "classic" it is in excellent shape. The only thing that we have really done to it, is have several brake lines replaced due to the time period that it sat unused. We are also very careful to change the oil and transmission fluid regularly. While it doesn't get great gas mileage, about 10 miles per gallon (it's a 360, what do you expect? ), nor overly blessed with power (the sucker is heavy) we still love camping in it. I also would rather drive, than just be a passenger. It is a little top heavy, more so with two adults sleeping in the top bunk, and it doesn't corner on a dime. Of course this is an older model, so I don't know whether the handling has improved in the newer models. But my Minnie Winnie does have power steering and power brakes, so it really is not that difficult to drive. I just need about six parking spaces to try and park this vehicle. I also did a little checking on what this motorhome is worth. I found one that is similar, but a year newer (1979) for $8,900.00, although I can imagine that they can be purchased used much cheaper. We have not only used our Minnie Winnie for family camping trips, but it is also wonderful to take to flea markets and craft shows. We just pull into our space, let our awning down and set up. It is great to have your bathroom and kitchen available nearby. We have even hauled up to four, eight foot tables in the center aisle for our setup. I can store all of my craft boxes in the top bunk! While the new Minnie Winnies are much fancier, with tip-outs and the like. If my older Minnie Winnie is any indication of how well Winnebago builds their motorhome's, I am recommending these very highly. The craftsmanship is excellent, plenty of storage space, the vehicle itself is easy to maintain. In conclusion, I am perfectly happy in my "Minnie Home Away From Home".